Every time I bite into a cheeseburger that I’ve never had before … and it’s good … Samuel L. Jackson goes off in my head. This happened the other day for lunch at Doe’s. You see, I go to Doe’s a couple times of year, but always seem to order the fried shrimp, soaked salad, Porterhouse, and fries. Never do I even think about getting a burger, which is only offered at lunchtime. Turns out this 80/20 fresh beef burger with all the fixings and your choice of cheese is pretty darn tasty. My wife opted for the cheddar. It was technically her burger and she’s not a fan of American cheese. For the record, the only correct cheese choice for a good old fashioned, greasy cheeseburger, like the one at Doe’s, is American cheese. 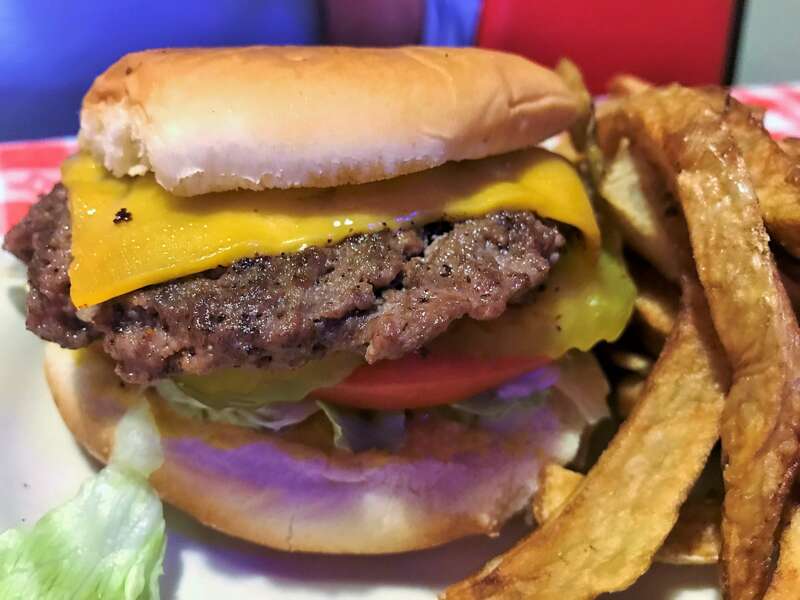 Doe’s burger reminded me of another popular Little Rock option–David’s Burger–but without the excessive salt. Would I put it in the absolute upper echelon of local burgers? Probably not. For me, it sits in a tier below Leo’s, Ciao Baci, and Midtown, but I’d definitely put it in my Top 10 range. Simply put, it’s a tasty burger that I wouldn’t hesitate to order. Did you know the Little Rock Doe’s is celebrating its 30th anniversary on Tuesday? To honor the occasion, the restaurant is doing $3 (normally $7.75) hamburgers $3.50 (normally $8.50) cheeseburgers for lunch on Tuesday, May 8th. They’re also offering a dinner time 8-oz filet for $30 from May 7-11th. Both deals are for dine-in only.